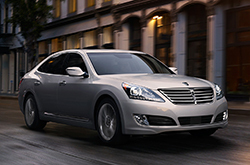 Texas buyers will be on cloud nine as they navigate through town in the impeccable 2016 Equus. A worthy contender in the full-size luxury segment, the Equus is an affordable option for upscale buyers seeking a bold sedan at an exceptional value. From the most contemporary technologies to the finest materials, the 2016 Hyundai Equus in Arlington offers top-notch features and accents that differentiate this car as a top-rate choice. Buyers will be especially impressed with the unparalleled array of standard features packed into this four-door vehicle. On the outside, automatic rain-sensing wipers, dual asymmetrical exhaust tips, a power sunroof and an adaptive front lighting system match with the polished finish to signal a bold road presence and sporty capability. Inside, our 2016 Hyundai Equus review is impressed with the advanced technology and extra comfort that can be attributed to the heated and cooled seats, surround sound audio system with 17 speakers, 9.2-inch LCD multimedia touchscreen, Blue Link telematics system, leather-wrapped heated steering wheel, auto-dimming rearview mirror and push button start capability that come standard on the Signature Equus. The high quality doesn't end there, though; the available Ultimate trim adds an innovative multi-view camera system, a rear-seat entertainment system with dual 9.2-inch monitors, Heads-up Display software and an all-new hands-free smart trunk with auto open. In addition to the convenient entertainment and accessibility features, the Equus is also a safe choice built for a true peace of mind. From electronic stability control, nine airbags and a 4-wheel anti-lock braking system to front and rear park assist, lane departure warning, blind sport detection and smart cruise control, the Equus ensures that each drive will be a breeze. 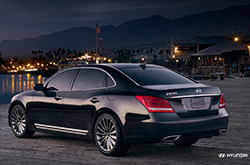 A full-size luxury car that 2016 Hyundai Equus reviews praise as an unmatched value, this top-notch sedan offers all of the bells and whistles and then some. Interested in seeing the prestige for yourself? 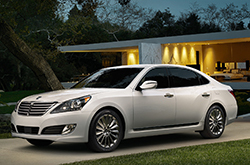 Test drive an all-new Equus near Dallas and discover this sedan's perfect combination of luxury, value and innovation. When you compare Hyundai's new 2016 Equus head-to-head with the 2016 Cadillac CT6, BMW 5 Series and the Lexus LS, we're sure you'll learn that the Equus is perfectly built for you. If the Equus's affordable price and advanced onboard technologies don't prove to you that it's the right vehicle for your needs, we're sure its eye-catching looks will seal the deal. Hundreds of Arlington Hyundai drivers choose it because it's a truly outstanding value; just compare its price to the forementioned vehicle options. Look through our Equus Facts list; look just below this text for bullets. Vandergriff Hyunadi's automotive writers have taken the time to write detailed reviews of the Hyundai Equus and other 2016 models to help make your next car search simpler. Because it's rare to get reviews with up-to-date? specs on dealer sites, we've made it our obligation to provide reviews from skilled writers. Every paragraph comes bundled with usable material, specs and research - just what you need to make educated decisions about your next Hyundai purchase. 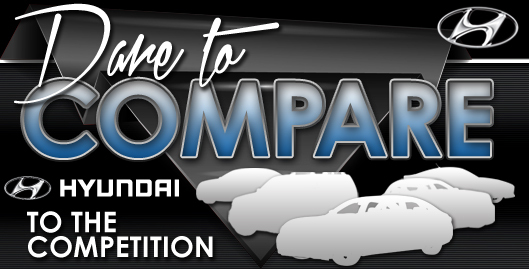 Learn all about our entire lineup of incredible automobiles! If the Equus isn't the right pick for you, we've got many other Hyundai reviews and car comparisons. Visit our research gallery to view them now!